Though he joined the school officially in February 2017, Mayur has been associated with the MGIS students for the past three years at Gujarat College where students come for football training three mornings a week. 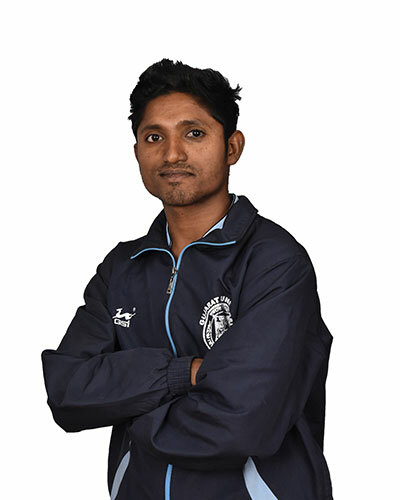 Mayur has completed a Bachelors in Commerce from Gujarat University recently and is now working on attaining a Bachelor’s in Physical Education from Swarnim Gujarat Sports University. He is licensed as a D level coach by the All India Football Federation. Besides football, handball and basketball, he is also an avid climber and has completed a certificate course from SVIM, Mt. Abu. He enjoys freestyle football and is a professional performer, most recently having performed for Mission IX Million, India, which is the biggest sports outreach program in the country.